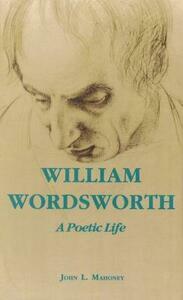 Wordsworth: A Poetic Life is a new biography of the great father of British Romanticism. It is new in several ways, most notably in the way it approaches the life of the poet. Paying its proper respect to the classic lives of Wordsworth by Mary Moorman and Stephen Gill, it attempts to tell the story of the life through a more rigorous reading of key and representative works of the poet, through careful blending of life and poetry. Wordsworth offers the story of the literariness of the poet's life - childhood and adolescence in the Lake District, education at Cambridge, love and political radicalism in France, the long period of residence in Grasmere and Rydal, celebrity, and national and international recognition. Its reading of the poems, in tune with current theoretical practice, offers a sense of the continuities in Wordsworth's career as it moves away from familiar theories of a Golden Decade of creativity and a period of long decline. The book also works closely and rigorously with Wordsworth's poetry as a method of dramatizing the essentially poetic character of the poet's life.